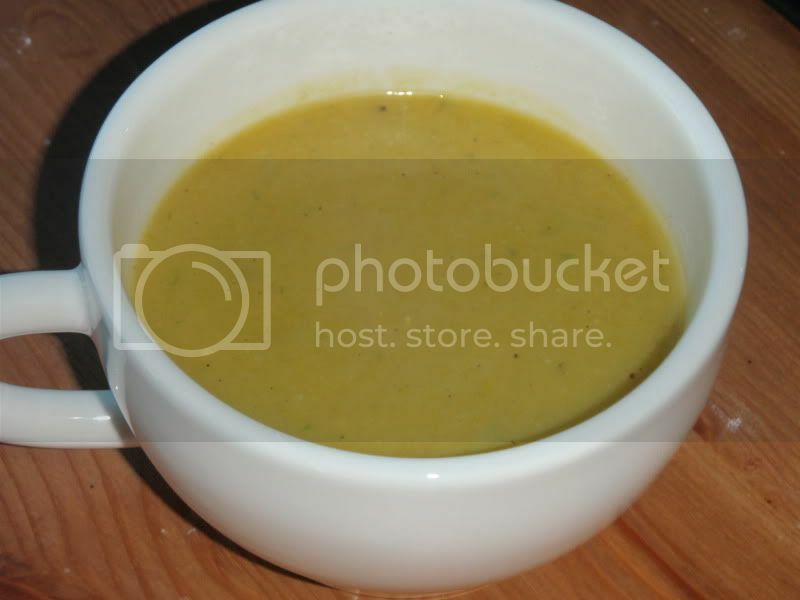 This weekend, I made another batch of the butternut squash and leek soup. Unfortunately, I was cup short on the chicken stock and had to use water. Thus, it wasn't quite as tasty with just the basic four ingredients. To compensate, I added about a 1/2 tsp of garlic powder, as well as more salt and pepper, and a splash of milk. Not a bad result, but not quite as happy as the original. Tomorrow I'll post the Cream of Mushroom Soup, which turned out quite well. Later in the week, look for a turkey-spinach lasagna and carrot muffins!